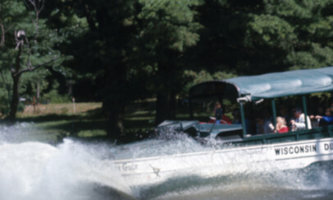 Wisconsin Dells’ classic duck tour — the only one in non-stop operation since 1946! Climb aboard these amphibious WWII vehicles for the ultimate in fun and adventure on land and water! Don’t fall for decoys; ride the Original! This 50-minute thrill ride on the Wisconsin River will get your heart racing, with plenty of awesome power stops, slides, and splashy spin outs. 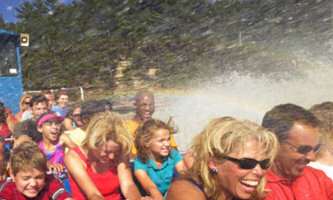 Enjoy the scenic beauty of the Dells at full throttle. Experience over 150 interactive exhibits – virtual realty, music, robotics, magic, puzzles, holograms and scientific wonders, including the original Russian Space Station MIR and an exact replica of NASA's Mercury space capsule. Put the pedal to the metal at the area's fastest track! A challenging course takes drivers over hills, under bridges, around hairpin turns and waterfalls. 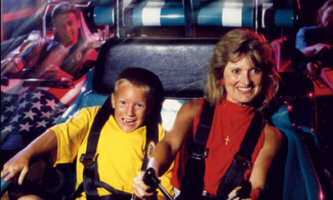 Plus, families love our kiddie go cart track! Next to Original Wisconsin Ducks. 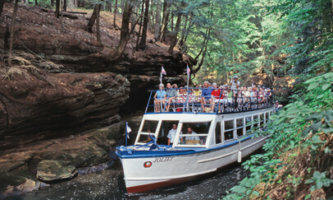 A Dells Boat Tour is more than an awesome journey through scenery, history and legend — it’s your opportunity to experience the natural beauty of the Wisconsin Dells region in an unforgettable way. 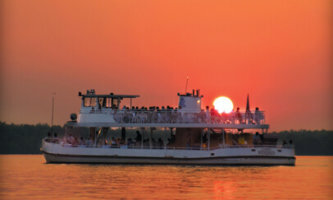 Take a cruise aboard Dells Boats today. Join the after-dark boat ride up river, en-route to an on-foot expedition to explore the haunted passages of Cold Water Canyon. 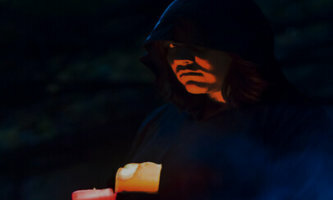 Don’t be afraid of the dark — be afraid of what’s in it. A classic show loaded with excitement including new acts & never-before-seen pyrotechnics. Professional water skiers perform flips, jumpsand build the super-awesome human pyramid! 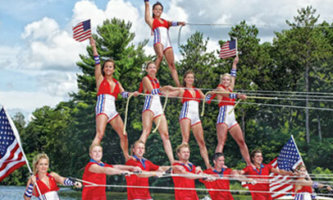 A premier Wisconsin Dells attraction, offering the largest variety of water activities in the country! 49 waterslides, four kid’s waterplay areas, two wave pools, two endless rivers, America’s first looping waterslide and more!